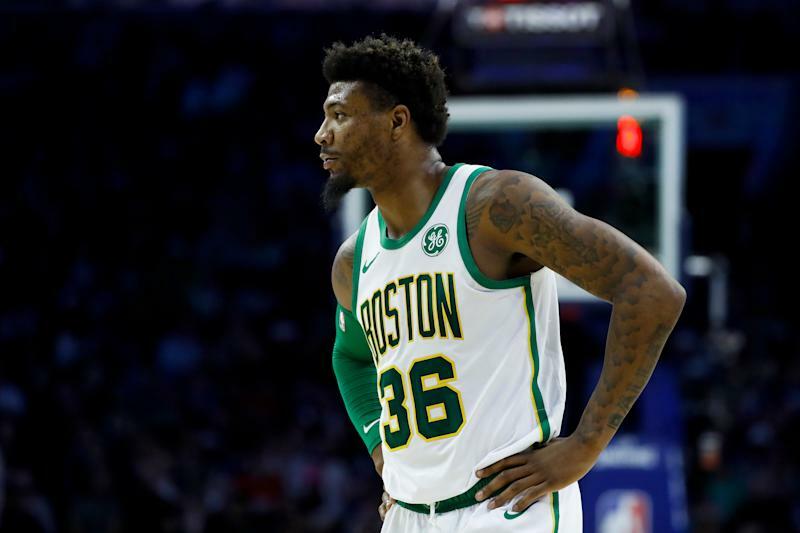 Boston Celtics guard Marcus Smart cost himself a nice chunk of change after shoving Philadelphia 76ers big man Joel Embiid during Wednesday’s game. On Thursday, the NBA fined Smart $50,000 for his actions during the contest. In the third quarter of the 76ers 118-115 win over the Celtics, Embiid set a screen on Smart that put Smart on the ground. The 25-year-old Smart got up, and immediately shoved Embiid in the back, sending Embiid to the floor. That sparked a shoving match that may have turned into a full-blown brawl had officials not stepped in. Once everything got sorted out, Smart was ejected from the contest. The 76ers — who were trailing at the time of the incident — rallied to win the game. Smart’s fine is much higher than normal based on his previous actions. In 2017, he was fined $25,000 for making an obscene gesture during a game against the Chicago Bulls. In 2018, Smart was again fined $25,000 for shoving J.R. Smith. The NBA alluded to those incidents in order to justify doubling Smart’s usual fine. The Celtics and 76ers will not play each other again during the regular season. There is a chance, however, that the two teams could meet in the playoffs. The 76ers are currently the No. 3 seed in the East. The Celtics sit in the No. 5 spot. The two teams were already going to be must-see television if they met in the NBA playoffs. After Wednesday’s shove, somehow the stakes will be even higher should Smart and Embiid take the floor as opponents again.